Last year, we headed to Central Park to capture Sharon and Josh engagement session. It was a beautiful sunny day. The light was absolutely wonderful and everything was glowing. The joy of the day was palpable everywhere, kids running, bands playing, birds chirping. It was a gorgeous summer day – in November – perfect for a romantic walk around the park, and for an engagement session. Josh and Sharon are very special. They are both very kind, sweet, very proper, and I’m so thankful that they went along with some of my crazy ideas. Sharon is absolutely gorgeous, and Josh, my man, you are a real gentleman. This couple is so hot, that while capturing their video, a girl approached me to comment how cute they were. We had such a great time with them, and I loved their love story…. Very true Sharon… he got you!! Sharon and Josh will get married at Seasons in New Jersey, which we absolutely love. After hearing some of their wedding details, we know their wedding will be lovely. I hope you enjoy their engagement video!! NJ Wedding Videographer. Voted Best of the Knot Weddings 2011 and 2012 NJ wedding videographer. Among Top 10 NJ Wedding Videographer, and recipient of Bride’s Choice Awards 2012 and 2011. 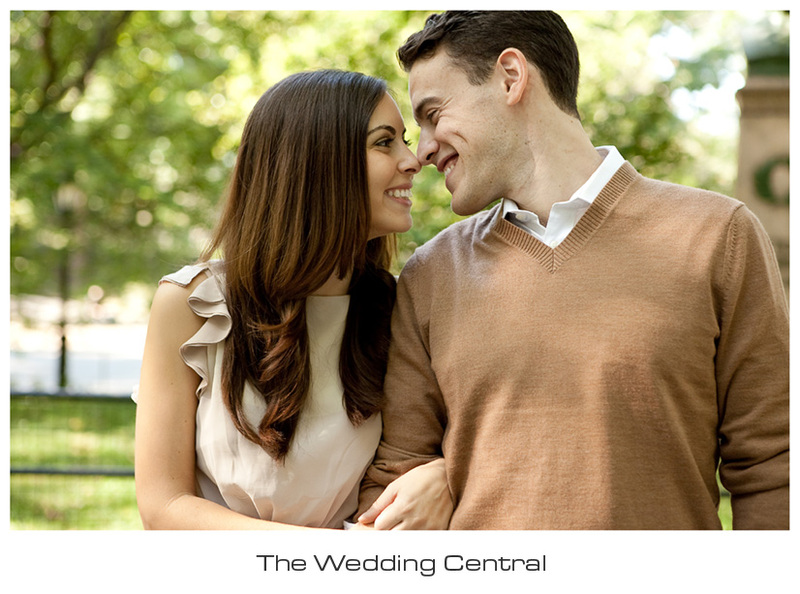 The Wedding Central is a wedding photography and wedding videography studio owned by Award Winning Wedding Photographer and Wedding Videographer, Gaby and Danny. The studio is located Northern New Jersey and covers weddings in New Jersey and New York City.